Although a dog lover – we have two gorgeous Dalmatians – I'm generally not one for "cutesy" animal images. 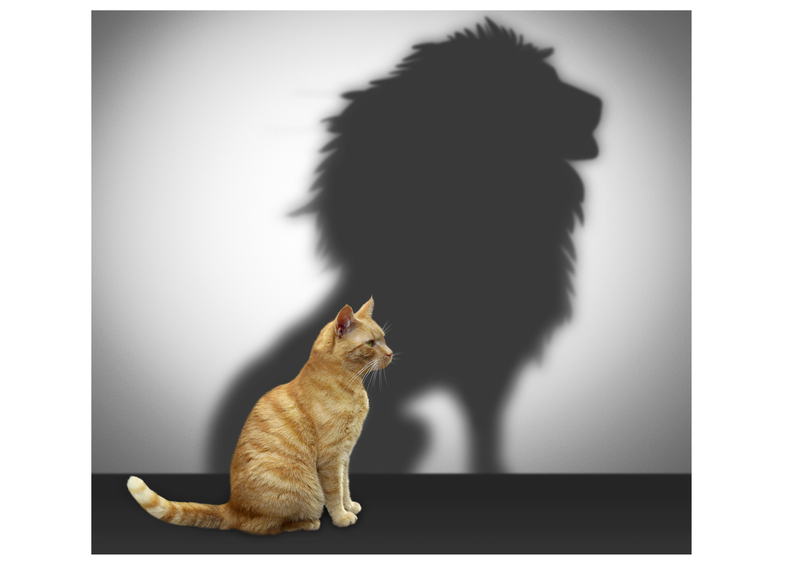 However, the image below is one that embodies various aspects of courage for me, including: raising awareness of courage in self and others; there may be fear to act, but with it, willingness too; the subjectivity of courage; broadening perspectives on courage. This image sits on my desk and galvanises me in times that I need to be courageous. Thank you to Judy Hilton for sharing this image with me. As insium continues on our journey, exploring and sharing what it means to lead with courage, developing leaders to be courageous, it would be great to hear your stories of courage and about who and what inspires your courage. Please be in touch. If you'd like to download a copy of this newsletter, you can do so via this link: insium newsletter June 2017. If you'd like to join our mailing list and receive our newsletter regularly, click on the "News" link in the "About" section of our website and complete the form.